Hello uncomfortable. 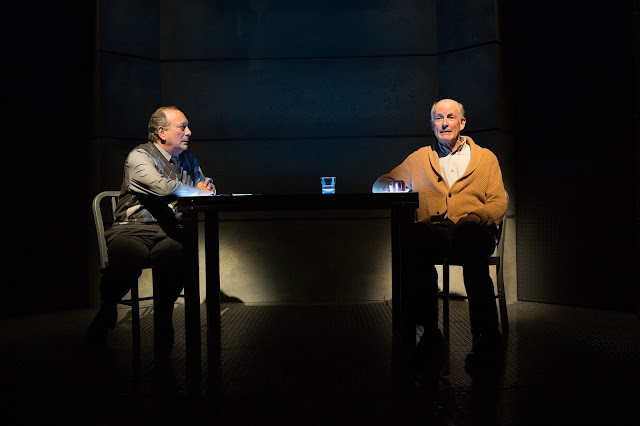 Jennifer Haley's "The Nether," having its Bay Area Premiere at San Francisco Playhouse, is brilliant and unique, but it also deals with subject matter guaranteed to make you squirm. We're not going to describe the plot -- the action is not chronological and anything we tell you will probably be a spoiler. It's enough to say a virtual world has been developed by Mr. Sims (Warren David Keith) to give an outlet to men to indulge the fantasies that in the real world would have them committed. Their goal is to "live without consequence," and this virtual world, or "The Nether," has been valuable for Mr. Sims in several important ways. 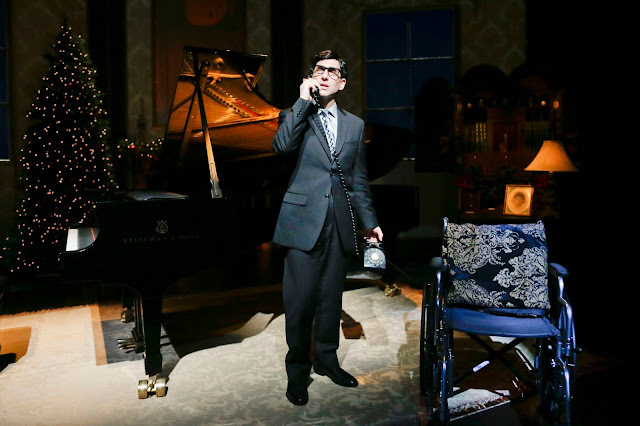 You can't talk about the SFP production without mentioning Nina Ball's brilliant revolving set. We are transported from reality to virtuality and back, as well as from real people to their avatars in the virtual world. It would be hopelessly confusing without these set changes. What a cast. 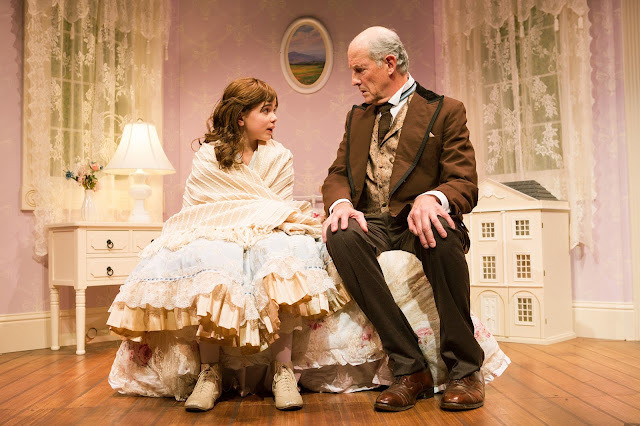 The 12 year-old Carmen Steele alternates with Matilda Holtz to play Iris, a role that would be disastrous is not played by a surprisingly mature actor. 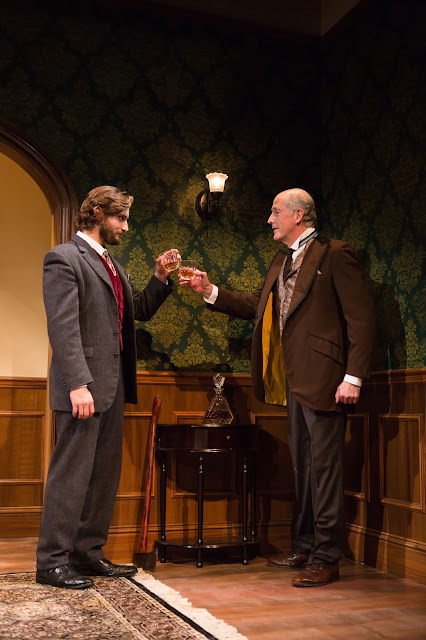 Louis Parnell is perfect as Mr. Doyle, deeply damaged in the real world and seeking redemption in the other. 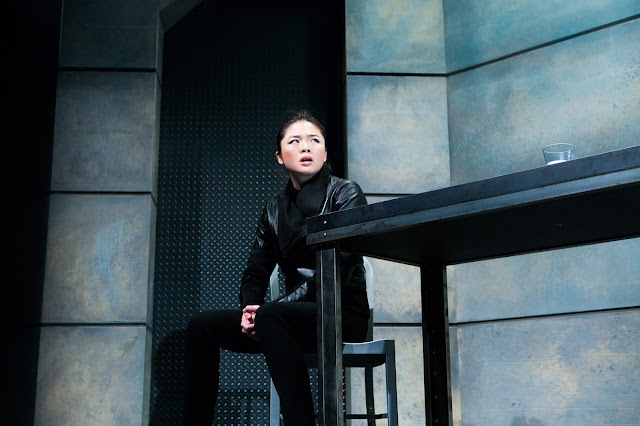 Ruibo Qian plays the Inspector and Josh Schell is Mr. Woodnut. Don't ask, because we're not going to tell you who they are. The San Francisco Theater Blog Awards Division awards "The Nether" Four Stars. It intrigues you without letting up for eighty minutes. Virtual worlds exist about which most of us have no idea and the relationship between reality and virtuality has never been more difficult to define. Jennifer Haley logs us in and we're happy to go along for the ride. 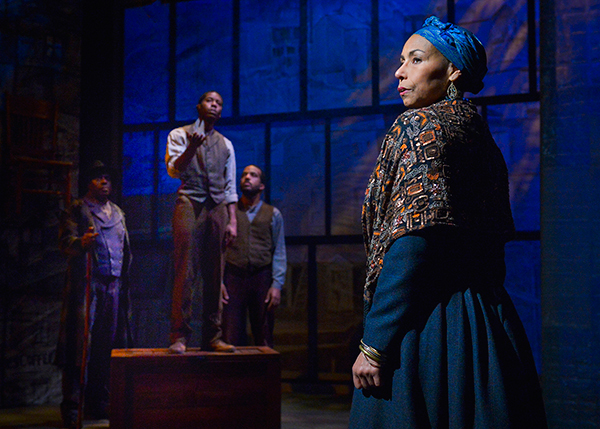 August Wilson's master work is a ten play cycle dealing with the lives of the black population of Pittsburgh's Hill District, where Wilson grew up. 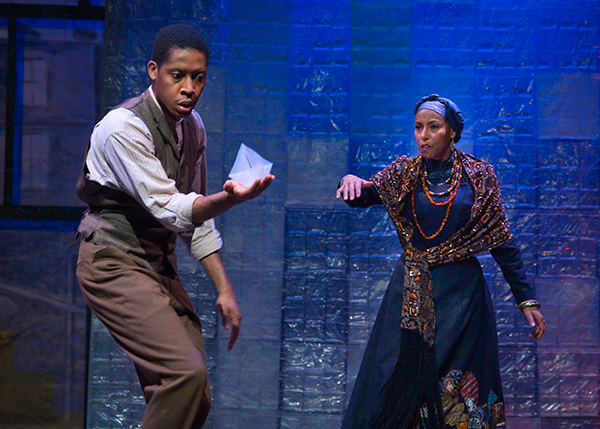 Each decade of the Twentieth Century gets one play, with "Gem of the Ocean" taking place first. 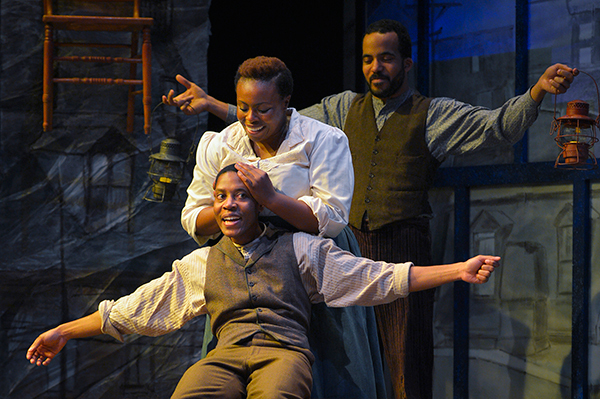 Set in 1904, in the home of the shadowy 285-year-old Aunt Esther, the play is rich in historical significance. Wilson completed "Gem" in 2003, two years before his death. Margo Hall is terrific as Aunt Esther, the role originated on Broadway by Phylicia Rashad. She gives down-home depth to the character hinted at (but never seen) in other plays in the cycle. Excellent as well are Omoze Idehendre as Black Mary and especially Namir Smallwood as Citizen Barlow. 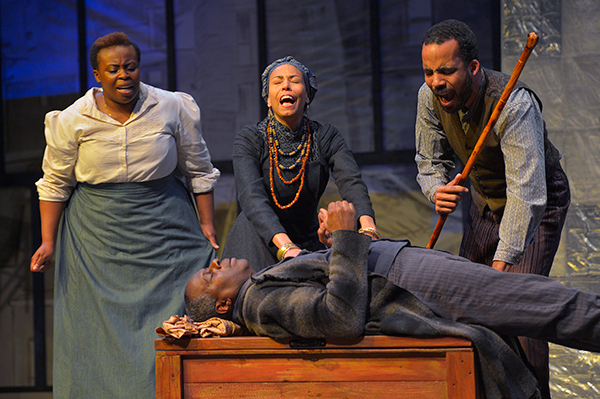 There are many themes in play here, but perhaps the most relevant is how difficult the lives of black people have continued to be after slavery, in 1904 on up to the present day. As Solly Two Kings (played by Juney Smith) says, himself old enough to have been born into slavery: "What is freedom? I got it, but what is it? Director Daniel Alexander Jones is using the original unedited script with which Wilson always began his rehearsals. He would write extra and winnow it down as time went on. So this Marin Playhouse production contains scenes the author eliminated, segments never before seen. It does not help: the production runs only fifteen minutes shy of three hours. Act One holds our attention while Act Two does not. The music is great but the pace of the show drags, especially in Act Two. 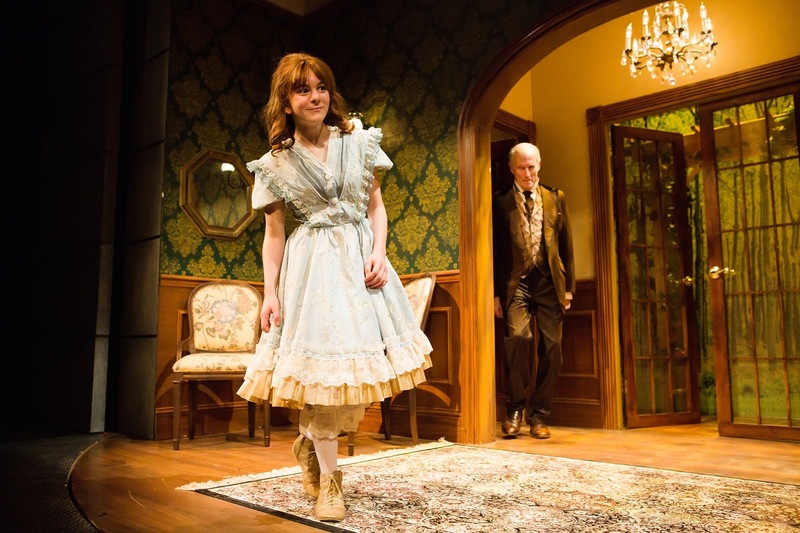 The San Francisco Theater Blog Awards Division awards "Gem of the Ocean" Three Stars. 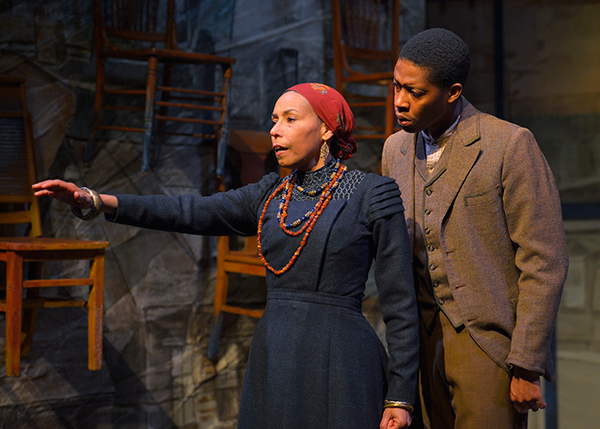 It's definitely worth seeing, especially for August Wilson scholars. We love this cast. It's always a pleasure to watch Margo Hall. But that's a really long Act Two. The answer is you can't, because Irving Berlin did it first, and, anyway, it's 2016, not 1919, and we want car crashes. Who wants to hear that soppy stuff anymore? Everybody, that's who, especially every person in the Opening Night audience lucky enough to hear the phenomenal Hershey Felder play and sing Irving Berlin's songs. He also takes us on a theatrical odyssey through the long life of the Byelorussian immigrant (1888-1989 ) who became the most acclaimed American songwriter of the Twentieth Century. 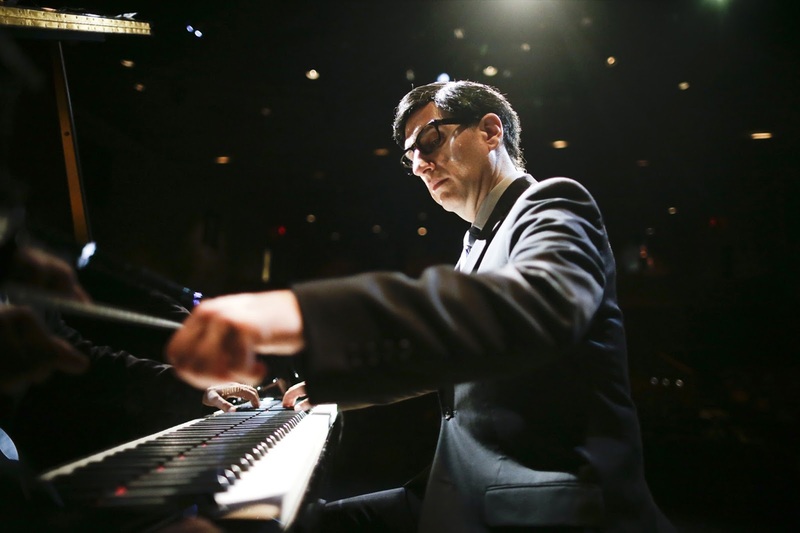 Hershey Felder makes a habit of getting inside great composers, with humor and pianistic genius -- previous shows have showcased the likes of Beethoven, Chopin, Liszt, George Gershwin and Leonard Bernstein. But the arc of Irving Berlin's life encompasses more than music. It is the history of an entire century, featuring songs written during two World Wars and The Great Depression. And we get to hear the stories behind such iconic Berlin classics as "White Christmas," "Dancing Cheek to Cheek" and "There's No Business like Show Business." What else? How about "Easter Parade?" Not satisfied, for God's sake: how about "God Bless America?" The show comes with a thick spatula of shmaltz, for sure. But so did Berlin. 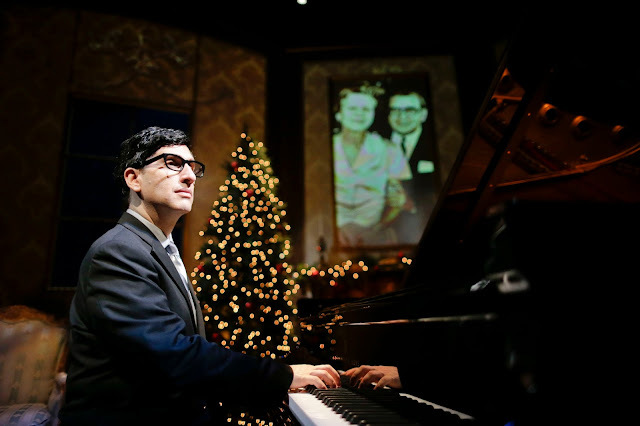 For an hour and a half Hershey Felder becomes Irving Berlin. The overheads and old recordings help, but we never really take our eyes away from the performer. Felder has become an international treasure, one you should never miss the opportunity to see. We truly love this show, and we would happily give it our top rating of Five Stars if there were only a few car crashes. 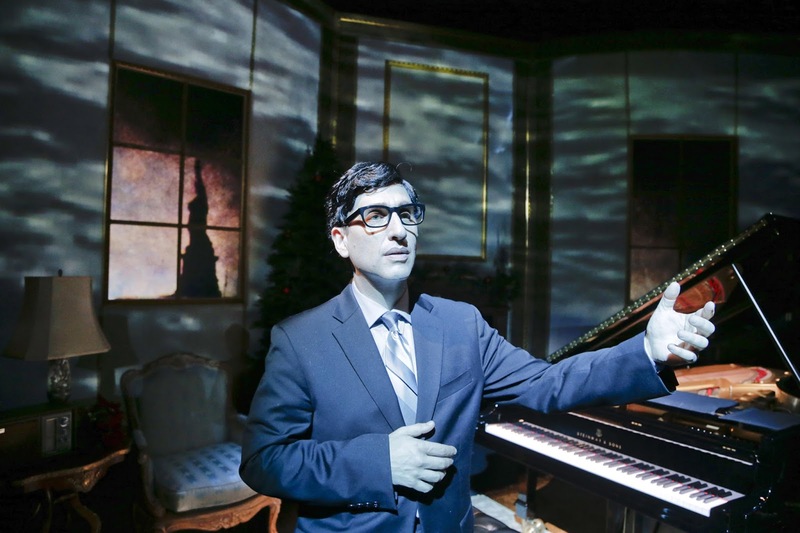 The San Francisco Theater Blog Awards Division happily and hummingly awards "Hershey Felder as Irving Berlin" Four Stars with a Bangle of Praise. Felder earns all of them, as performer and book writer, and the Bangle is for the chills we get when the audience is singing along. No one has the right to remain silent. We can't anyway. Don't miss this show.